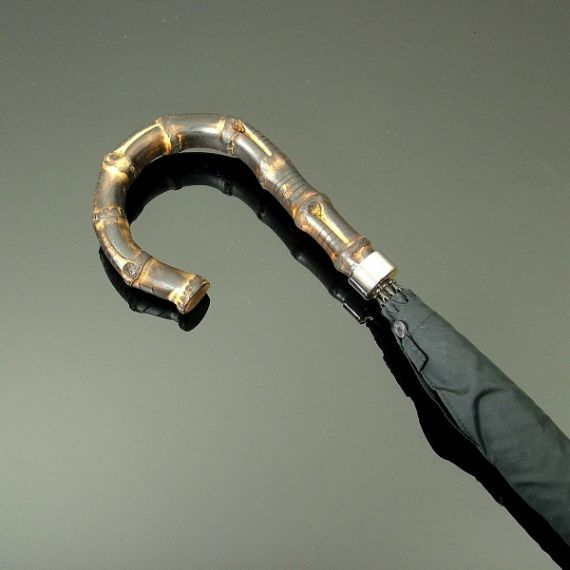 A Scorched Whanghee cane handle umbrella in Black. 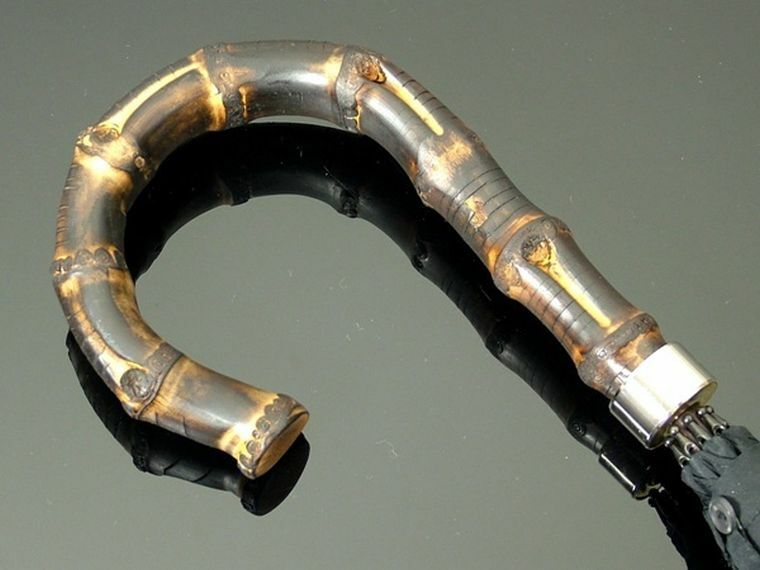 made on a 25" Fox Steel Tube Frame, with a Gilt Tip Cup and Best Polyester cover and case. The length of this umbrella is approximately 36" (91 cm) from handle to ferrule and when opened is approximately 50" in diameter (127 cm).